Best Philadelphia Amputation Attorneys | Free Consult with John F. Fox, Jr.
Are you looking for skilled Philadelphia Amputation Attorneys? 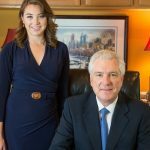 If you or a loved one has suffered a traumatic amputation injury and you are looking for top rated Philadelphia Amputation Attorneys, you have come to the right place. Fox Law is a small firm that gets big results. We treat your amputation injury case with the expertise and personal attention it deserves. 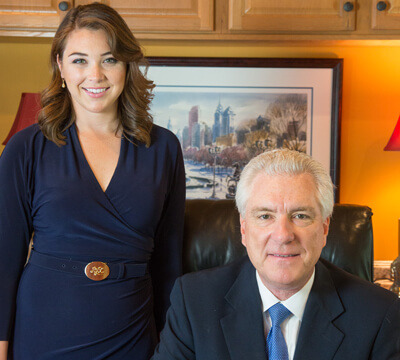 A former defense attorney, John Fox has vast experience with personal injury claims. He knows how personal injury cases are defended. And he knows how they are won. This is a distinct advantage for our clients. All Philadelphia Amputation Attorneys are not the same. Do you know how many lawyers have not been to trial in years? Insurance Companies do. Insurance companies know which attorneys are prepared to go to trial, and which attorneys are not. Although most cases do settle, having an attorney negotiating for you that is prepared to take your case to trial improves your negotiating leverage. This is a distinct advantage for our clients. 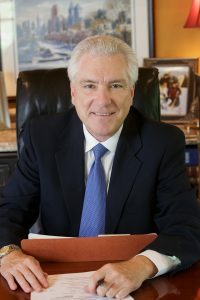 The most important question to ask when calling a Philadelphia amputation injury law firm is, “Who is handling my case?” Then, speak to the lawyer. Our recommendation when looking for a amputation injury lawyer is to hire the lawyer, not the law firm. That is who is handling your case. At Fox Law, there are no surprises. John and Laura Fox will be the only attorneys handling your case. What is a Traumatic Amputation Injury? A traumatic amputation injury is the sudden loss of a part of a body during a serious accident, such as an arm amputation, leg amputation, foot amputation, hand amputation, toe amputation or finger amputation. Traumatic amputation injury is rare. The loss of limb usually happens immediately during the accident; however, the amputation may also occur a few days later. The most common cause of a traumatic amputation injury is a construction accident. Car accidents are the second most common cause of a traumatic amputation injury. In general, the recovery from a traumatic amputation injury is more difficult than an amputation that is planned due to a long term medical issue. An amputation injury is physically and psychologically traumatic. Prosthetics are expensive. In the U.S., a typical prosthetic limb can start at $10,000 and go up to around $15,000. Amputation usually requires a hospital stay of five to fourteen days or more and 50% to 80% of amputees experience the phenomenon of phantom limbs. Phantom limb pain is when an amputee feels body parts that are no longer there. The sensations can range from itching, aching, and burning, to feeling tense, dry, wet, or they can feel their non-existent limb moving. Phantom sensations and pain may also be experienced in an unrelated part of the body. If phantom pain is experienced for more than 6 months, it is likely that is will not improve. Heterotopic ossification is another repercussion of suffering an amputation and it is most common among those who suffered a head injury simultaneous with the limb amputation injury. Soldiers often experience this side effect. Heterotopic ossification is when the brain signals the bone to grow instead of scar tissue to form, and nodules and other growth can interfere with a prosthetic and sometimes require further operations. The recovery process for a traumatic amputation injury is long. An amputee must exercise to improve muscle strength and control, and do activities to help restore the ability to carry out daily physical necessities. An amputee must also learn how to use artificial limbs and assisting devices. While many amputees have regained autonomy, some amputees must adjust to the fact that they will never be completely independent again. Therefore, emotional support, including counseling, is sometimes prescribed after the surgery. Amputation injuries will have life-long effects on the injured and their family. Therefore, it is very important to retain excellent medical and vocational experts to fully develop the value of your case. At Fox Law, we retain all of the necessary experts for you to receive the full lifetime compensation you deserve for your amputation injury. "I had my leg cut off from a slip and fall accident. John Fox has taken excellent care of me... this man has and has given me the most sound solid advice you could ask for. His daughter is also a saint... I love these people They are more friend than lawyer ... I'm so glad I chose Fox Law to represent me THANK YOU JOHN AND LAURA"
We welcome you to contact us for a prompt and free consultation regarding your amputation injury case. Fox Law welcomes the opportunity to represent you. In your consultation, your case will be discussed and the facts will be reviewed and evaluated. If Fox Law accepts your case, it will be handled on a Contingency Basis, which means you pay nothing. We carry all of the costs and assume all of the risks when we accept your case.